Catching a glimpse of even regular neutrinos—low-energy particles generated in the atmosphere—is difficult enough, but spotting a "cosmic neutrino" left over from the Big Bang has been downright impossible. That is until this cubic kilometer buried under Antartica's frozen wastes started looking. Known as the IceCube Neutrino Observatory, this £183 million telescope is located under the Amundsen-Scott South Pole Station in Antarctica. Since its completion in 2010, IceCube has been searching for evidence of the cosmic neutrino via an array of thousands of sensors hung in cascading lines under the ice. 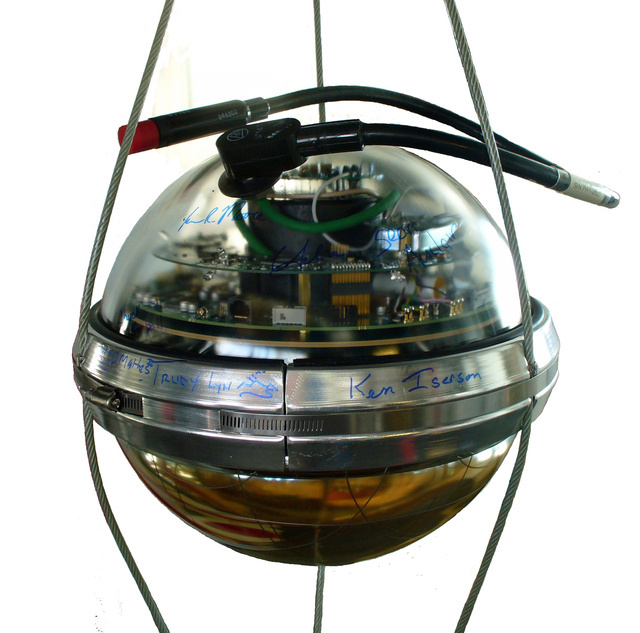 Just as its predecessor, the Antarctic Muon And Neutrino Detector Array (AMANDA), did, IceCube consists of spherical optical sensors called Digital Optical Modules (DOMs), each with a photomultiplier tube (PMT). In all, 86 strings containing 60 DOMs apiece and a total of 5,160 PMTs have been hung a depths ranging from 1,450 to 2,450 meters. IceCube researchers leveraged a unique hot water drill to quickly bore through the ice when installing the array. When a weakly-interacting neutrino does manage to strike the nucleus of an atom in the ice, the resulting energy release creates a brief flash that is picked up by the DOM and transmitted to a data collection station on the surface. The system detects roughly 100,000 neutrino strikes annually but, until last month, all of them were of the atmospheric variety. In April, IceCube detected a pair of strikes—nicknamed Bert and Ernie—with energy signatures in the TeV range, suggesting an extraterrestrial origin. Since then, the system has spotted an additional 26 potential cosmic neutrino strikes.